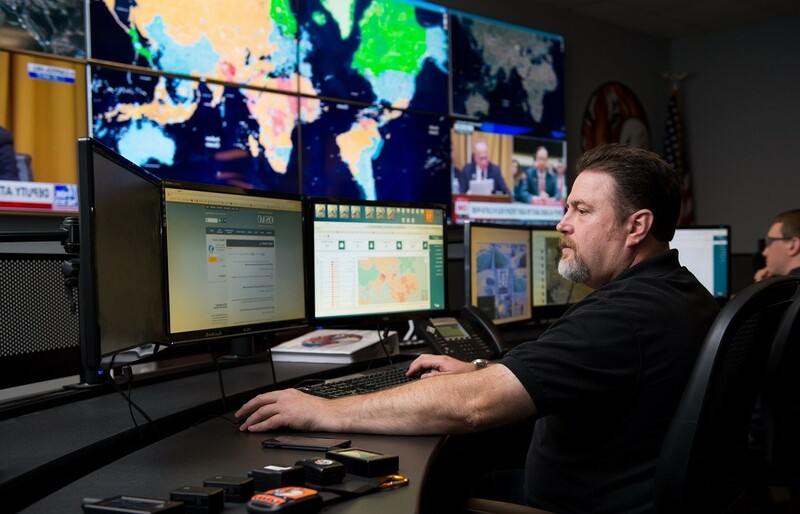 TigerSwan’s Global Security Operations Center (GSOC) is more than just a room with wall-to-wall monitors displaying the latest news and weather reports. Perhaps the most critical capability of the GSOC is establishing a Common Operating Picture (COP) for decision-makers across functional areas and organizational responsibilities. As threat management assumes different emphasis from department to department — logistics will worry about scheduling impacts, security is occupied with the safety of personnel and assets, and the C-suite is focused on ROI — it is imperative that all stakeholders and decision-makers act upon a single, consolidated operational view. Today, organizations have access to increasing amounts of data from a growing list of sources. Problems arise when one department, with a unique perspective and operational focus, works from one set of data while a another team makes decisions using a separate set of information. By aggregating data to a single point of truth, the GSOC places representatives into the same room where they can work from a common operating picture and create unified responses to threats as they evolve. 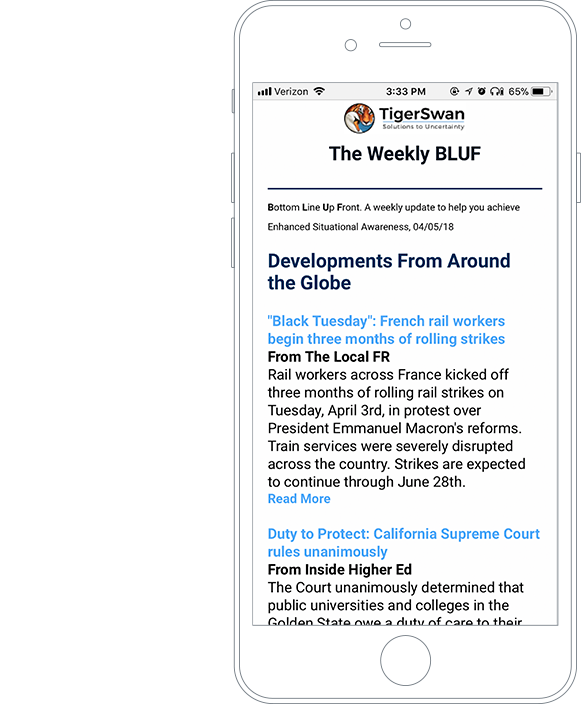 TigerSwan’s GSOC was conceived and architected based on years of experience in global combat leadership, law enforcement, military intelligence and asymmetric threat mitigation. 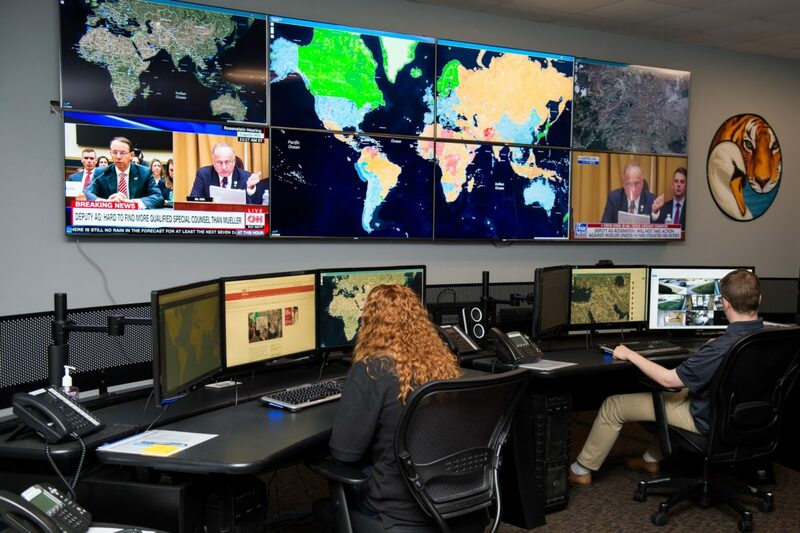 With the goal of maintaining the operational safety of personnel and integrity of key assets, our Watch Officers analyze real time data from diverse sources at the most granular level to anticipate and mitigate risk, communicate potential threats to personnel before they are in real danger, and resolve crises before they affect the mission. In the face of rapidly changing global conditions, the GSOC serves as a filter through which live information can be received, analyzed, and turned into actionable intelligence. Decentralized threat management results in poor communication and a disjointed response plans, all of which has the potential for serious harm. Creating enhanced situational awareness can only happen when threat management is executed from a central location. Maintaining a constant awareness of all personnel and assets from the GSOC means that threats can be identified and communicated with before they impact anyone’s safety. 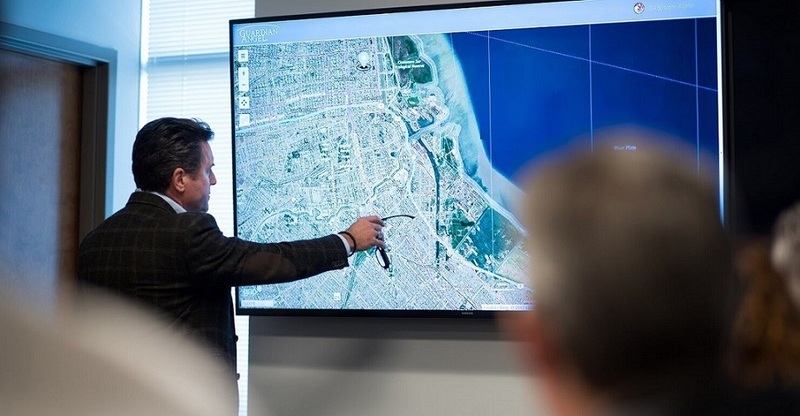 Maintaining situational awareness across an enterprise’s global operations is no small feat. With constant changes to local and international environments, a global organization needs awareness about political, cultural, economic, meteorological, and social events as they happen in real time. Without the ability to receive new intel, distill it to the context of a specific mission or project, and make real-time decisions, an organization will fail to keep their assets safe and deliver on their business objectives. A GSOC is unique in its ability to aggregate data and provide a consolidated picture of risk as it relates to specific missions. With enhanced situational awareness across the enterprise, better communication can take place to drive better decision-making, and ultimately, better business outcomes. When an emergency does arise, an organization needs to rely on calm, calculated responses that are often pre-determined and implemented according to the emergency situation. TigerSwan’s GSOC is staffed by Watch Officers from diverse professional backgrounds in military intelligence, local law enforcement, and federal intelligence agencies. With first-hand experience in handling crisis situations for some of the riskiest missions in the public sector, TigerSwan’s Watch Officers are uniquely equipped to respond to emergency situations for corporate clients. When distressed personnel contact the GSOC via the GuardianAngel mobile app, they are connected to a professional in crisis management who is prepared to offer a calm response with the goal of ensuring the safety of the individual in questions.